Honda Motorcycles and Scooters India Ltd. today launched its new 160 bike Honda CB Unicorn 160 in India. The CB Unicorn comes in two variants which are priced at Rs. 69,350 and Rs. 74,414 respectively. The standard CB Unicorn come with a front disc are rear drum brake where as the next model gets a Combi-Brake system. The bike is powered by 163 cc single cylinder petrol engine which does 14.5 Bhp and 1.5 Kgm of torque. The gearbox is 5 speed and top speed and fuel efficiency figures are 106 Km and 62 Kmpl respectively. Looks wise the CB Unicorn 160 resembles the CB Trigger with some changes. The headlamps and taillamps have been redesigned which look sharper. There is new fuel tank and saree guard differentiating CB Unicorn from CB Trigger. LED tail light, chrome finished muffler and floating side cowls are added features in CB Unicorn. 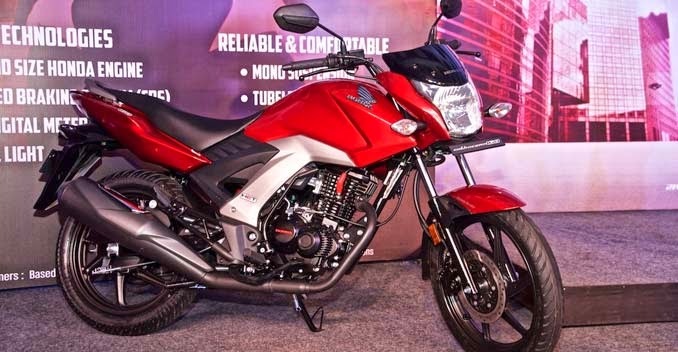 Honda CB Unicom 160 will compete with Suzuki Gixxer, Hero Xtreme Sports and Yamaha FZ Fi in Indian market.